Promoting a standard of clinical excellence in Chiropractic & Physical Rehabilitation. Our Chiropractic & Physical Rehabilitation Facility is run by Doctor of Chiropractic, Oliver Hobkirk-Smith, and Doctor of Chiropractic, Andrew Powell. Our modern, research driven approach to chiropractic patient care, allows us to carefully select and utilise the chiropractic and adjunctive physical rehabilitation that will best achieve the results you want; in the shortest space of time, at the lowest possible cost, with minimal disruption to your life. Whether you're suffering from acute pain following injury, trauma, surgery etc, or chronic pain, effective treatment is possible. Pain is not a trivial symptom and should not be ignored. Research shows pain is a potent stressor on peoples lives that interferes with normal recovery and functioning. When pain is controlled, patients suffer less, sleep better and have more vitality to enjoy daily activities. Patients commonly present to us after having undergone various treatment options (including surgery), without success, and have often been seen by a whole host of other clinicians: chiropractors, osteopaths, physiotherapists / physical therapists, neurosurgeons, orthopaedic surgeons, spinal surgeons, rheumatologists, general practitioners (GP), podiatrists, massage therapists, sports therapists etc. Doctor of Chiropractic, Oliver Hobkirk-Smith, and Doctor of Chiropractic, Andrew Powell offer vast experience and expertise in the diagnosis, management and chiropractic treatment of pain and injury. Professional interests include the chiropractic management of chronic injuries and chronic pains which have proven impossible to resolve elsewhere, such as back pain, neck pain, shoulder pain, elbow pain, wrist pain, hip pain, knee pain, shin pain, ankle pain, arm pain, leg pain, sports injuries, headaches, complex regional pain, degenerative joint disease / osteoarthritis etc. Treatment visits will typically encompass a full compliment of the latest in evidence-based conservative chiropractic care and physical rehabilitation. Each patients chiropractic care is tailored directly to them, taking into consideration their personal requirements and preferences. All of the chiropractic and adjunctive treatment modalities we utilise within the clinic are non-surgical and drug free. However, if once we have examined you, we feel that your case would be better managed by a clinician external to the clinic (i.e GP, orthopaedic surgeon, rheumatologist, neurologist etc), appropriate referral can be made. We begin by taking a thorough history of your complaint, as well as a full past medical history, family history and history of other factors which can influence the genesis of such a complaint. This will be followed by a comprehensive physical examination consisting of: orthopaedic, neurological, postural, and gait evaluation. 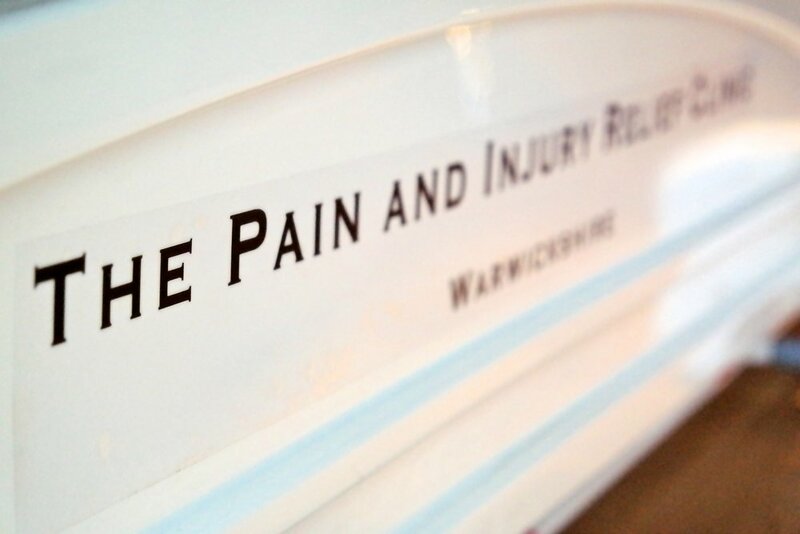 It is this unique and pioneering approach to examination that allows us to identify the factors that are contributing to the development and the continuation of your pain or injury. If further testing (i.e Blood tests) or investigative imaging (i.e An MRI scan, CT scan, Ultrasound scan, or X-ray) is required, we can refer you swiftly and efficiently to an appropriate specialist for such investigation. You may not currently have a complaint, and might be looking to either: prevent future problem, keep fit and well, or optimise your sporting performance. In this case we can look at matters prospectively, seeking to identify factors which could predispose you to future problems in the future, especially if you have a close family member who suffers from such a complaint, or are involved in a sport where such problems commonly occur. What we can do to help. What you'll be able to do, in order to help yourself. What results you can expect. The rate at which you can expect these results. If we feel that your complaint would be better managed by another clinician, the appropriate referral to that clinician will be made without delay. Treatment visits will typically encompass a full compliment of evidence based conservative care. Ultimately each patients care is tailored to their case, taking into consideration their own personal requirements and preferences.